While insulating the ceiling we had to take into account areas where infrastructure such as the chimney and the plumbing vent would eventually have to get through the roof. This involved adding some extra baffles to leave openings in the insulation. 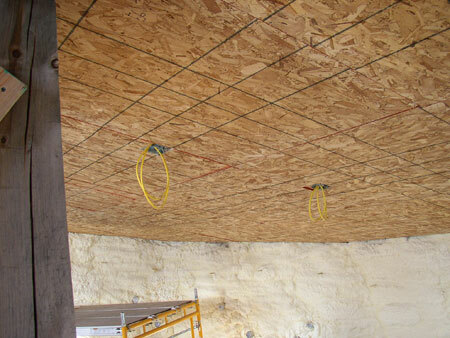 We also had to run some electric wire (Romex) for overhead lighting and a ceiling fan. By February of 2011, we were finished with the ceiling for the time being, and were working on pulling wiring through the conduit with a fish tape, and wiring the outlets. We had a few circuits live in no time. Another important task was to cut 2x8s into base plates for the inner cordwood walls. As we spent all this time inside in the now well-insulated house, we noticed how well our passive solar design was working. On sunny days, the house warmed up and the in-floor heating kicked in rarely, if at all. is it possible the house could get too warm? Dan, I am glad you asked! And not just because you are the only one who asks anything around here! The sun only reaches the windows during the winter months, when the sun is at a lower angle. During the summer, when the sun is higher in the sky, the windows are shaded by the deck and the roof. The passive solar is more of a supplemental heat source, and is most effective during the late fall and early spring. It is normally pretty cloudy here during December through February. Also, due to the thermal mass of the cordwood walls and slab, Nerdwood is slow to heat up or cool down. I suppose it is possible that the house could get too warm from passive solar heat, but it’s pretty unlikely. If anyone is designing a house and wants to know more, I recommend Daniel Chiras’ book The Solar House. 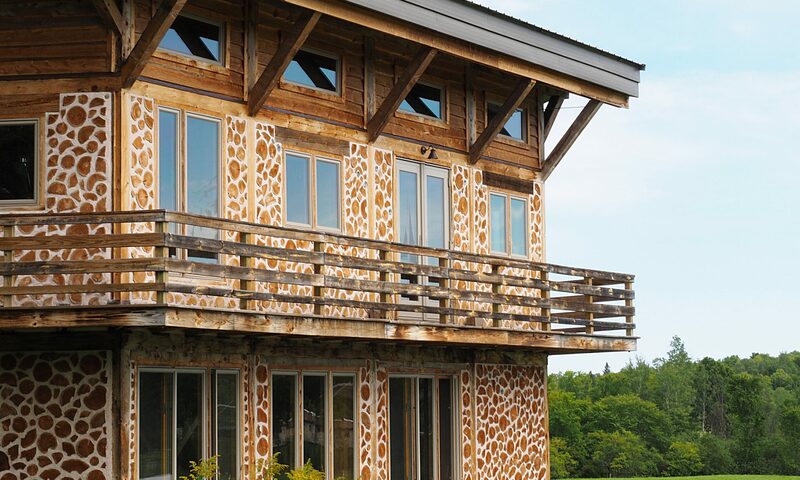 Interested to know wall thicknesses by layer…..cordwood, spray foam and last layer of cordwood? And in a not so cold of a climate could you omit the foam and just do one row of cordwood infill? 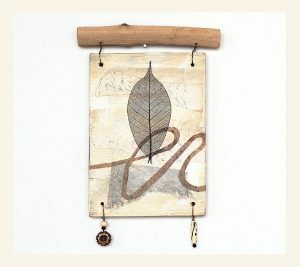 There are two eight-inch-thick cordwood walls, and between them is six inches of foam, so about 22″ thick altogether. 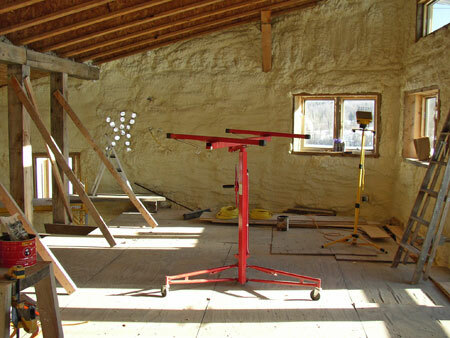 The cordwood walls themselves only add about R-1 per inch, so a single eight-inch wall would only be about R-8. Another consideration is that the logs will check and shrink slightly, no matter how much you have dried them before putting them in the wall, so a single wall will also be a bit drafty. 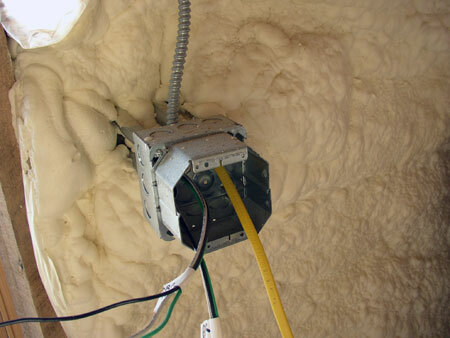 Might be fine in Costa Rica, but anywhere in the US where it gets uncomfortably hot or cold, an insulation cavity will greatly increase your comfort.